This handy spot remover helps remove stains such as dirt, ink, grease, oil, mud, ketchup, urine, & vomit. 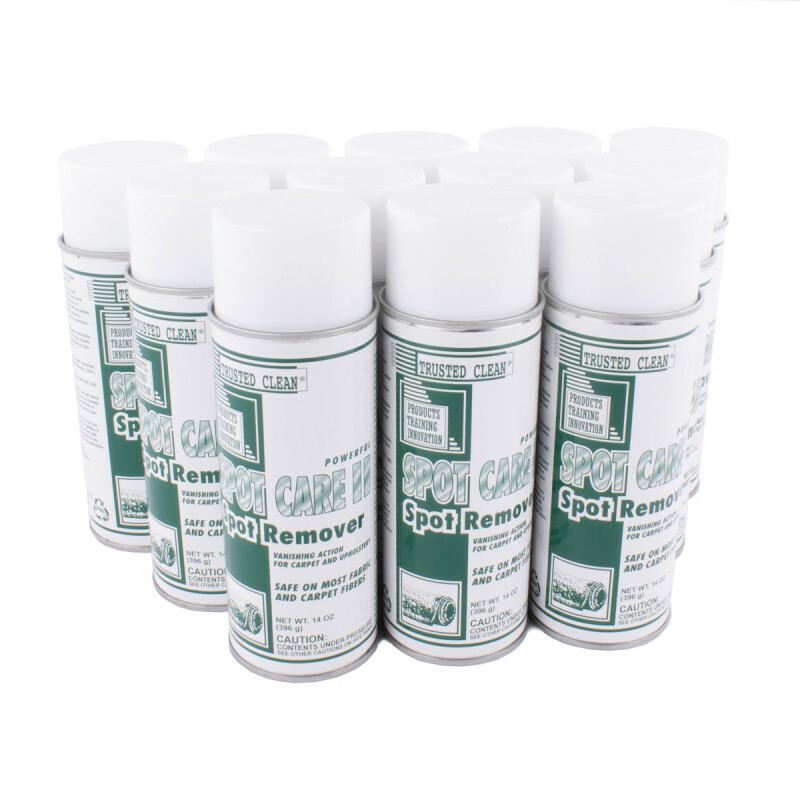 Spot Care II is our best stain removing seller, used by professionals and now available to you. You get 12 14-ounce cans in a case. We also have several other spot removers and general carpet cleaning chemicals that might be more appropriate to your particular floor cleaning needs. Make sure to check them all out.